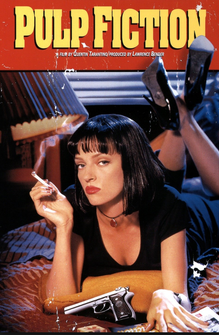 The best movie trailer that I ever saw was Quentin Tarantino’s for Pulp Fiction. It starts out with slow classical music and an authoritative voice detailing the movie’s awards—interrupted by a gun shot. What follows is a variety of scenes from the movie overlaid with the film’s now iconic soundtrack. It lasts three minutes and features enough stars to populate the Pacific Palisades. A book trailer—particularly an author-financed one—can’t be anything like that. Forget dreams of a fast montage that gives viewers a sense of how the story flows. Setting up each scene and hiring the actors necessary is cost-prohibitive. I’ve learned that the hard way after producing three book trailers for my first three thrillers: Dark Turns, The Widower’s Wife, and Lies She Told, all published by Crooked Lane Books. For a reasonable book trailer that doesn’t look like a hodgepodge of stock photos strung together with a Ken Burns effect (as so many do), you get one scene, one setting, and one actor to tell your story. For my latest book trailer, I hired Alice Teeple, a NYC-based photographer and videographer to come to my house and take a series of still shots that she would turn into the trailer. We found rights free, stock sound on YouTube of a camera flash. I play the dead body and wrote the music. The original plan was to have my husband write the reviews on my body with marker. Right before filming, however, he realized he could project them with a mini projector that we use to watch movies outside in the summer. My skin thanks him. Scrubbing off permanent marker is no easy feat. The whole thing cost less than $600 to make. It has since been featured on Crime By The Book and other blogs, helping reinvigorate some of the publicity surrounding the novel. Have you ever made a book trailer? How did you do it and how much did it cost?